/mo. - No Contract. Rate excludes taxes. Not all products, prices and services available in all areas. Requires AutoPay/E-Bill enrollment. CenturyLink Price For Life 1 Gig Internet is ideal for connecting multiple devices to the internet at once, without slowing down! The 1 Gig Internet plan is for homes with multiple high-bandwidth Internet users - enough for lag-free online gaming, and video chatting with friends and family with no buffering. Connect all of your devices effortlessly and never worry about it again. 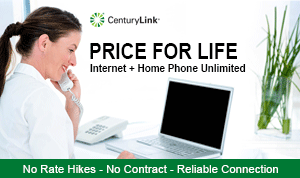 See if CenturyLink Price For Life 1 Gig Internet is available in your area and lock in your Price For Life! Does CenturyLink Price For Life 1 Gbps Internet Have a Data Cap? 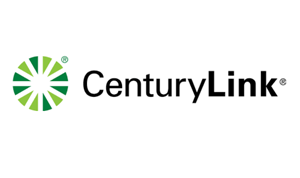 Network Reliability - Know that you can get online when you want to with CenturyLink's 99.9% network reliability. Price For Life High Speed Internet Service Disclaimer: Service and offer are not available everywhere. Limited time offer. Rate is available to new, qualifying residential customers who reside in qualifying locations. CenturyLink provided modem may be required for High Speed Internet; lease ($10/mo. fee) or a one-time purchase (up to $150) option available (S&H applies for overnight delivery, if requested). Self installation, if available at customer's location, may be selected at no charge. A professional technician installation fee of up to $99 may apply, if selected by customer or is required due to network technology at customer location. Month-to-month service may be cancelled at any time. Offer requires monthly pre-payment with a credit or debit card payment only. Service will begin on the date your Service order is completed and each prepaid billing cycle is 30 days. Service automatically renews monthly until cancelled by customer. Prepaid payments for unused service will not be refunded or credited to account. To cancel, Customer must log-in to account portal and click cancel to place the request. Plan cannot be combined with other promotions. Customer must remain in good standing and offer terminates if customer changes their account in any manner, including change of address (even if plan is available), change to service, and service suspension (Vacation Program) or disconnection. Other than promotional rates, plans with monthly rates that don't change, and monthly rates offered with a term commitment, your monthly rates for services, leased equipment, fees, or surcharges are not guaranteed and may increase during the time of your service. Additional restrictions may apply. CenturyLink may change, cancel, or substitute offers and services, or vary them by service area, at its sole discretion without notice. All products and services listed are governed by tariffs, terms of service, or terms and conditions. Customers must accept HSI Subscriber Agreement prior to using service. Listed Internet speeds vary due to conditions outside of network control, including customer location, equipment, and access through a wireless connection, and are not guaranteed.